Researchers at LSTM, working with colleagues of the Centres for Disease Control and Prevention (CDC) in Kenya and USA, and from the Kenya Medical Research Institution have found that a new drug may be more effective at preventing malaria in pregnant woman, especially where there is resistance to the current treatments. LSTM’s Professor Feiko ter Kuile, who heads the Malaria in Pregnancy (MiP) Consortium, was senior author on the study which has been published today in the journal The Lancet. The study evaluated the efficacy and safety of two alternative strategies in comparison to the standard treatment recommended for the prevention of malaria in 1546 HIV-negative pregnant women in western Kenya. 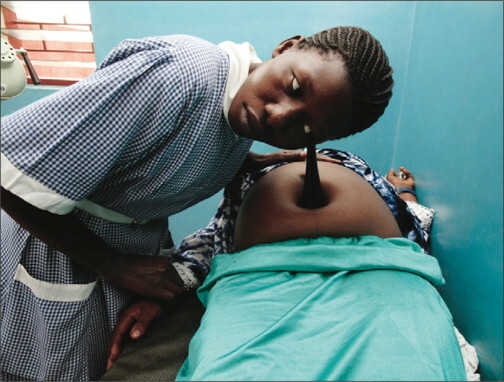 Malaria infection during pregnancy is a significant health problem to both the mother and the unborn child. It has been associated with chronic anaemia in the mother, and with loss of the pregnancy due to miscarriages or stillbirths and with low birth weight in pregnancies that result in livebirths, which in turn results in an increased risk of infant death. The World Health Organization (WHO) currently recommends that women in areas of stable malaria transmission receive intermittent preventative treatment in pregnancy (IPTp) with the antimalarial drug sulfadoxine-pyrimethamine (SP). Sulfadoxine-pyrimethamine is currently the only antimalarial drug that is recommended by WHO for this IPTp strategy, however high levels of resistance from the malaria parasite to this drug threatens its efficacy. This study looked at two alternatives to that recommended treatment strategy, intermittent screening with malaria rapid diagnostic tests (RDTs) and treatment of RDT-positive women with the new drug dihydroartemisinin-piperaquine (ISTp-DP) and intermittent preventative treatment with dihydroartemisinin-piperaquine (IPTp-DP). It was found that there were more instances of malaria with ISTp-DP compared to existing IPTp-SP strategy, however there was a much lower instance of malaria in the IPTp-DP treated group. This equated to an 84% reduction in the incidence of clinical malaria during the pregnancy, a 68% reduction in the risk of malaria infection at delivery and a 22% lower risk of anaemia at delivery. IPTp-DP was also associated with up to 75% lower risk of stillbirths and early infant mortality than with SP. The drug was safe and very well tolerated by pregnant women. , who heads the Malaria in Pregnancy (MiP) Consortium, was senior author on the study which has been published today in the journal The Lancet. The study evaluated the efficacy and safety of two alternative strategies in comparison to the standard treatment recommended for the prevention of malaria in 1546 HIV-negative pregnant women in western Kenya. 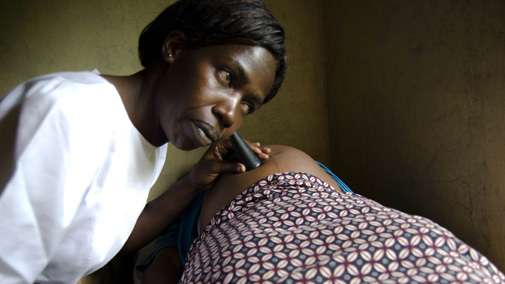 Malaria infection during pregnancy is a significant health problem to both the mother and the unborn child. It has been associated with chronic anaemia in the mother, and with loss of the pregnancy due to miscarriages or stillbirths and with low birth weight in pregnancies that result in livebirths, which in turn results in an increased risk of infant death. The World Health Organization (WHO) currently recommends that women in areas of stable malaria transmission receive intermittent preventative treatment in pregnancy (IPTp) with the antimalarial drug sulfadoxine-pyrimethamine (SP). Sulfadoxine-pyrimethamine is currently the only antimalarial drug that is recommended by WHO for this IPTp strategy, however high levels of resistance from the malaria parasite to this drug threatens its efficacy. This study looked at two alternatives to that recommended treatment strategy, intermittent screening with malaria rapid diagnostic tests (RDTs) and treatment of RDT-positive women with the new drug dihydroartemisinin-piperaquine (ISTp-DP) and intermittent preventative treatment with dihydroartemisinin-piperaquine (IPTp-DP). It was found that there were more instances of malaria with ISTp-DP compared to existing IPTp-SP strategy, however there was a much lower instance of malaria in the IPTp-DP treated group. This equated to an 84% reduction in the incidence of clinical malaria during the pregnancy, a 68% reduction in the risk of malaria infection at delivery and a 22% lower risk of anaemia at delivery. IPTp-DP was also associated with up to 75% lower risk of stillbirths and early infant mortality than with SP. The drug was safe and very well tolerated by pregnant women. Professor ter Kuile said: “Malaria in pregnancy remains a significant public health problem, and in areas of high resistance to sulfadoxine-pyrimethamine it is clear that an alternative treatment is needed. Our study showed that test and treat approaches are not a suitable alternative, at least not with the current generation of rapid diagnostic tests which still miss many infections, however it is a positive sign that prevention with the new drug dihydroartemisinin-piperaquine fared well in the study, and could be a promising alternative to SP following further investigation.” Read more about it here.